Rex Grace Insurance, an independent Medicare Insurance Agent providing long-term Medicare Insurance solutions for Northern Idaho residents. 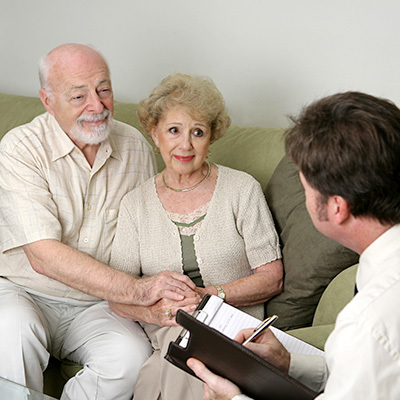 As a Medicare Insurance expert, I offer assistance in all types of insurance for senior citizens; because my commitment is to simplify the ever confusing world of Medicare Insurance so you can make the right decision for your phase in life. Working with an independent Medicare Insurance Agent gives you maximum flexibility and best possible price opportunity; because being able to shop and compare all available Medicare Plans in our area saves you time and money. To show my commitment to your success, I have created a free, no obligation course titled “How To Avoid the 3 Most Common Mistakes when selecting a Medicare Plan.” Sign-up today and learn these valuable lessons. Free coffee and snacks are provided. Before entering the Medicare Insurance world, I served in the US Marine Corps. Once a Marine, always a Marine. The Marine Corps motto is Semper Fidelis, which means “Always Faithful.” Just as I would never leave a fellow Marine on the battlefield, I am committed to leaving no Senior Citizen behind either. After the Marines a spent 15 years as a Software Engineer and 24 years as a Small Business Owner. I am licensed in Idaho & Indiana. To learn more about me, Medicare Insurance options, or to sign-up for our free, no-obligation class; please give me a call. If your prefer, you can also complete the form on this page and have me call you. To schedule an appointment and if you have questions. A Free, no-obligation workshop that details the Medicare enrollment process. We will address all the confusion of medicare insurance you hear from friends, family and the national media. We will explain the hidden costs of a medicate policy and detail what you can expect to pay on an annual basis. We will explore all the medicare options available to you and help you find the program that best fits your life situation. Want more information about Medicare? You can visit the Medicare.gov website or call my office to setup a no obligation appointment. © 2018 Grace Insurance | Built by Zenith Exhibits,Inc.